This humble reviewer misplaced his camera, so images are from elsewhere on the internet. The featured image is from kopfhoerer.de. In fact, they took such lovely pictures that I begged, borrowed and stole a lot all the images from there. Except I forgot to beg. 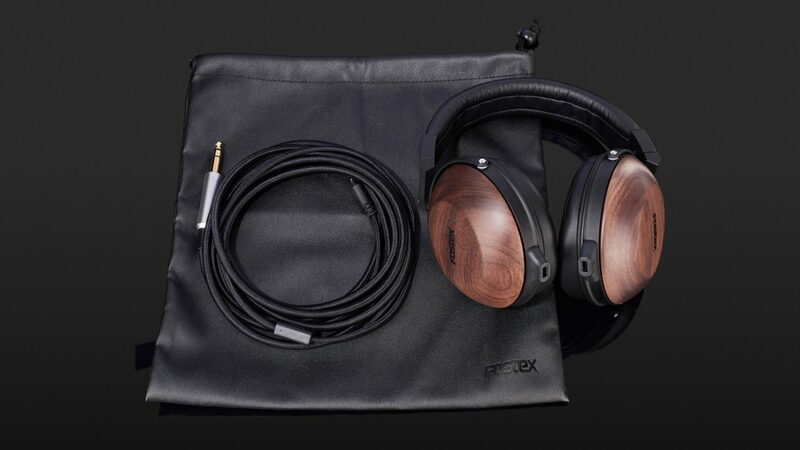 Fostex have a tremendous reputation in the Audio Industry, specifically for making high end closed Headphones is where I have been involved in them thus far. 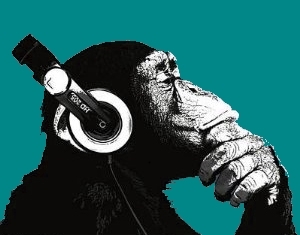 I’m going to go out on a limb (primates don’t find this difficult) and say that when it comes to closed cans and a decent budget, you ignore Fostex at your peril. The TH900 continues to cause the wow factor at every show where they grace us with their presence. They now have a MKII of the legendary flagship retailing for more than double the TH610. Fostex want to try and cut a sizeable hole in our pockets with the lure of the flagship. They are also eager to tempt us into this madness with more budget offerings. The Fostex T50 has been around for many years. The MKII T50 drivers were considered so good that they were the subject of some serious modding by the Audio Community. In essence the drivers were stripped from their housings, tweaked, and sat into some absolutely stunning enclosures. The most notable company that spawned from this tinkering? None other than the creators of the Aeon and the Ether – MrSpeakers. We are now into the MKIII iteration of the T50. The price has gone up slightly, as has the sound quality and the T50s, alas, are no longer as easy to tinker with to get improvements. The walnut finish of the 610 is something to appreciate. I think for many people wood has a timeless appeal and lends a natural feel to anything it wraps itself around. Wooden finishes have been around for some time and will be around for many years to come, particularly if a certain company called Grado have any steam left in them. They don’t look like slowing down anytime soon.The finish can be the difficulty, as wood has grain running right through it. Conversely, plastic and metal can be finished as a perfectly even colour and texture. Fostex have the finish down with the cups and they look great, even slightly understated to my eyes. The leather bag supplied is in black. It has a luxurious feel and finish. It should prove effective at protecting the cups from the ravages of the outside World. The rest of the headphone seems to be exactly the same as the finishing on the TH900 MKII. Nothing to really give you the wow factor, some fairly standard black cabling, some bulky looking terminations to the cups’ protein leather earpads and a protein leather headband. The difficulty of selling to so many different continents is in working out what will not be a dealbreaker for people in terms of cosmetic appeal and it must be a nightmare for a manufacturer. The cabling is a 3 metre length and the cable is a tough nylon job. Hi-FC (detachable 2-pin, rhodium coated) for the more knowledgeable audiophiles out there. It’s a reassuring solid click into the terminations. It’s pretty much tangle free too. I like closed cans to have a decent length cable on them because many people will be sat in their living rooms with them hooked into the amp whilst the partner is watching TV. Dependent on where said HiFi is in the room that might be some distance away from the settee. The Matte finish of the earcups the connections to them the housing and stitching around them down to the headbands are all fine. I would have preferred some nicer earpads and a better quality headband but I can’t argue that the headband clamped at all. I found no difficulties in wearing these for hours at a time and the weight of these (375G excluding the cable) is not too much of a problem. The headband had no feel of clamping and once on there felt no need to reach and adjust the 610s until it came to the reluctant time to take them off. The TV at normal volumes in my house could not be heard by me enough that I had to turn the music up on these to drown it out. Obviously in quiet pieces I could still hear some of the action on the box the gains from being able to sit in the front room unobtrusively whilst my partner could do what she wanted to do…. They very much outweighed the setbacks. Very little leakage from the TH610s at below ear damaging levels. Harmony in the household – closed headphones can do wonders with this. Closed headphones can be used everywhere without disturbing anyone provided they are well made. That is not in question here. The use of the walnut finish could be slightly off-putting for someone to commute with these. I’d suggest that the finish is simply too fragile to take out and about. No, let’s be clear; these are indoor only. Doing anything else will spoil their looks quite quickly. The TH610 will work through a DAP really well. From an iPod to an AK380 the characteristics of these headphones will present themselves without the need to search for more power. They sounded incredible through my 50 watts per channel power amp. This is obviously way over the top for a 25Ω headphone which is exactly why it has to be done. My excuse is because you the reader need to know what these cans can do under the most intense scrutiny. Coupled with the fact that I have it so I have to use it. In short, don’t sell your DAC/amps, your integrated amps, your amp modules or your AV kit. But don’t go straight out and buy any for the Fostex TH-610s. They’re quite happy without, thank you anyway. The TH610s have lots of bass. The 610s bring a warmth in the subbass and a slam in the midbass. The bass is not tight; there is a slow decay in the lower end. It’s easy to compare the bass presence on the Fostex to it’s big brother, the TH900. I see the bass as being on par with the flagship model. The pretender to the Fostex in terms of bass response would be the Meze 99 Classics. I believe the nod would go to the TH610s due to the Tesla 50mm driver being higher quality. The bass does not swamp the mids I am happy to say. The mids is where I find that true quality can be discerned in a headphone. This is where vocals and instruments are layering the sound. The curtain is either closed herein or the sunlight has been allowed to stream in. The Fostex has a rich clarity which is certainly coloured. The colour lends some weight and extra oomph to the music which is not at all unlikeable. The depth of the musical image is what you would expect from a closed headphone. Fostex have not tried to squeeze too much extra juice from the highs and mids to create a large soundstage. MrSpeakers managed to push the old Fostex T50 RP driver and create a wider soundstage. Quite how they did this is down to some engineering skill no doubt. The effect could be heard in a noticeable hiss on many recordings on the Alpha Dogs I owned. The feeling is of an intimate gig. This is in itself not too bad an attribute because it brings the detail closer to the ear and vocals and instrumentation are easy to follow. Testing for sound quality were made against the following headphones I own and consider to be in the same bracket. Now discontinued and needing lots of muscle power to make them work to their optimum, the HE-6 has a linearity and a clarity in the mids that can be breathtaking. They benefit from modding from the earpads supplied to the taming of the highs using various solutions. The HE-6 is a superior headphone to the TH610 in it’s linearity. Many will prefer the richness and intimacy of the Fostex. There are no absolutes here. You can’t get more open a headphone than this. Or perhaps a more quirky headphone than this. The AKGs were put out there as an attempt to incorporate some of the natural sound of a loudspeaker with the micro detail that a headphone does so well. To this end a swivel has been put on both drivers and they can be pulled out to a 45 degree angle. Bizarre? Confused? The end result is polarizing in the extreme. You either love em or you’re wrong! Please excuse me I didn’t mean that. But you can see where my affiliations lie. To compare the Fostex against the AKG , the Fostex does not sound as airy or have quite the magical clarity in the mids of these crazy cans. But it clearly shoves the AKGs out into the backyard once the drummer really gets going. These are a recent purchase (6 months ago) and replaced the Mr Speakers Alpha Dogs as my reference set of Closed Headphones. They retail at £595 , around £100 more than the Fostex. The bass is clearly better on the Fostex. The mids highs and soundstage are a close run thing between the 2. I could live with either the linearity of the W1000Zs or the extra warmth the TH610 brings. Isolation on the ATs is marginally better thanks to some thicker, slightly better quality earpads. I hope to have given you some insight into the Fostex TH610. It has it’s obvious advantages – it looks great , it’s a closed can with a sound quality that is comparable to open headphones costing much more. 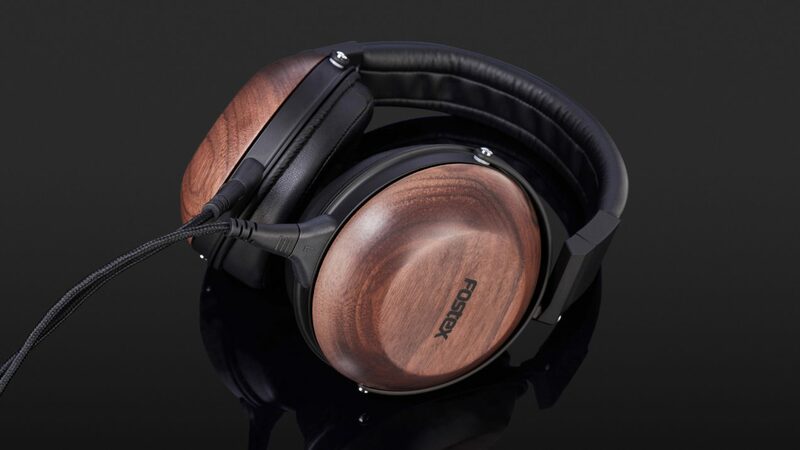 It has it’s drawbacks – it has a closed headphone feel to the sound and the walnut finish may not be to everyone’s particular taste. For those needing a closed can without sacrificing sound quality these have to be worth a listen.